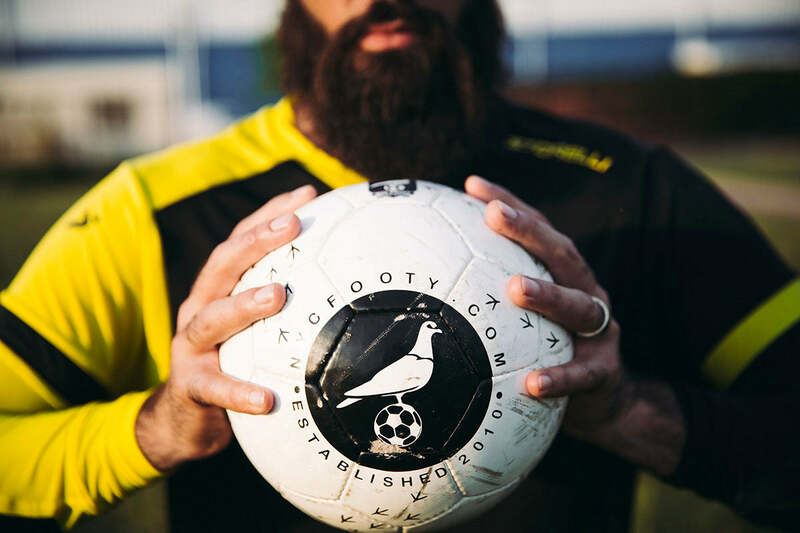 Storelli presents Gotham Recruits, an interview series of smarter Next-Gen athletes looking for an edge to keep them fearless on the pitch in this gritty metropolis we call home. 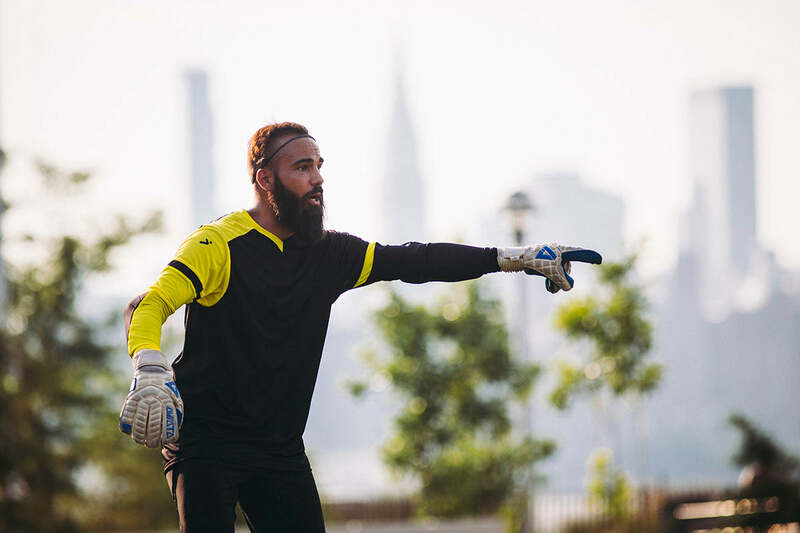 Get familiar with keeper Joe Franquinha, co-founder of NYC Footy and owner of Crest Hardware in Williamsburg, Brooklyn NY. What's your biggest fear on the pitch? Getting too old to compete at the level my head and heart know I'm capable of. And Injury to myself and others... As a keeper, you unquestionably must command your space and show/prove to opposing players that they should think long and hard about making any moves in your box... you're constantly throwing yourself in the crosshairs... It comes with its consequences... But we all have to wake up the next day and go to work... Well, most of us... Last thing I want to do is compromise my life and work off the pitch, or the life and work of someone else. It's peanut butter and jelly for me. Hand in hand. As I mentioned, I'm getting older, not too old, haha... But even now In my early 30s I don't recover like 25 year joe did. Why are you so quick to embrace Storelli? I'm trying to extend my playing career as long possible... If I want that longevity I need to take full advantage of anything that helps me do that. Storelli is the obvious choice. Why did you start NYC Footy? What was wrong with other leagues? Lots of things. And at this point in our friendship, we’d played in 3 or 4 different leagues and it was the same ol’ story every time. The other leagues all seemed to be these faceless, sterile, insular, shortsighted, shoddily run businesses. We wanted to flip that formula on it’s head. We continuously aim to be a league that’s run more like a club. One where the founders are in the thick of it, and they can be held accountable because their presence alone day in and day out allows for immediate feedback from the players, which in turn keeps “our product” sharp and relevant. What was your greatest fear getting it going? Going into business with friends. The fear of losing friendship based on professional disagreements. But we learned that it’s about finding where those lines need to be drawn between those two worlds. There have definitely been some speed bumps along our five year journey but the destinations that we have found ourselves in so far and the ones we'll continue to explore have all been worth it. What's 'top notch' about it? What's different? A number of things, in my honest & humble opinion but I’ll give just a couple concrete instances. One of the first obvious examples are our jerseys. There’s a different emotion when you’re putting on a proper jersey as opposed to just another t-shirt. A sense of belonging, a sense of pride and a sense of camaraderie… And that same emotion and spirit spills onto the pitch, which makes for some great play. Another difference between us and them is our unfiltered desire to not only build an experience for the players but to build a culture, one they can proudly stand behind and stake ownership to. I think that same desire was fueled by the fact that we all held full time jobs separate from footy, so the focus wasn’t on making a ton of money, it centered on making everything JUST right, and taking fun chances and living out this passion project that was harboring inside of us. How do you see Storelli fitting into the league as a protective partner? One thing athletes fear is change. 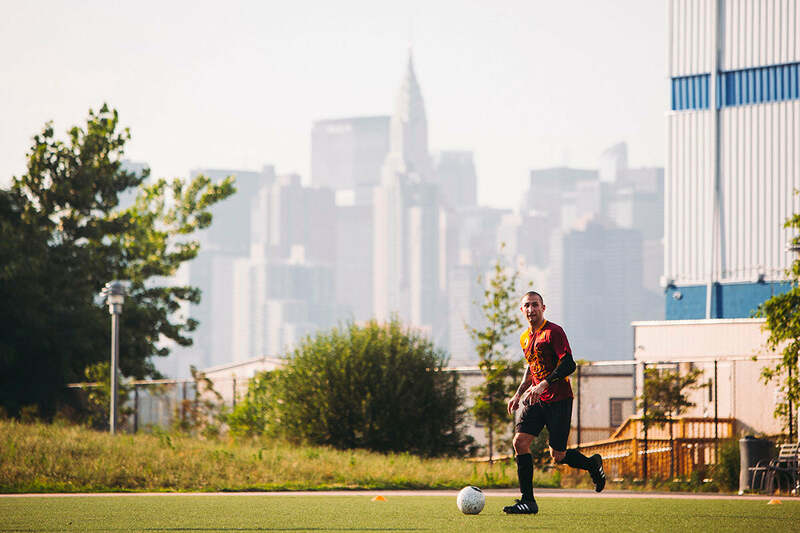 Change in routine, change in their abilities to play, change in their capability of bouncing back from injury, and so on… I think Storelli being NYC Footy’s protective partner helps our players conquer those fears, and in turn helps elevate their play, their confidence and the length of their career. We're for the next generation of athletes, how does nyc footy fit in? Honestly, at this point in NYC Footy’s life we serve an older generation of athletes, but we can teach some ol’ dogs some new tricks, haha… Especially when those ol’ dogs wanna keep them bones protected. Come to think of it, as NYC Footy grows, so do our players families. 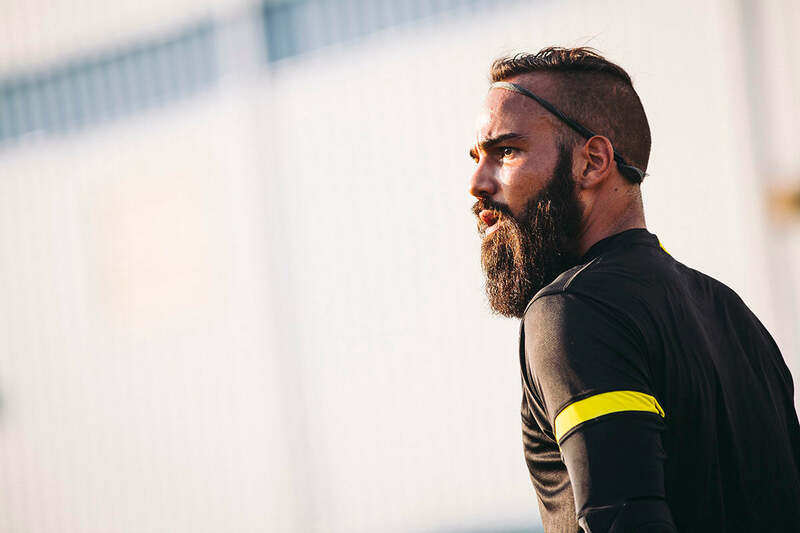 Players start to have kids and who knows, maybe by us sharing in Storelli’s beliefs and standing behind their products we’re subconsciously helping to set the example of what the new soccer norm should look like for our player's future generations.